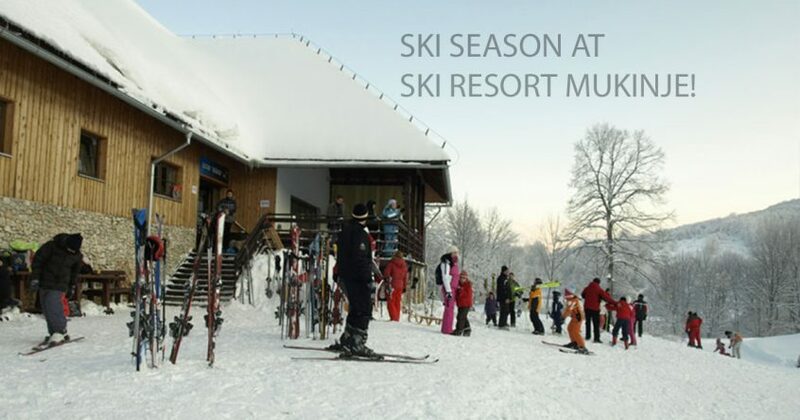 Start of the ski season in Plitvice lakes at Ski Resort Mukinje! In these, snowy conditions, the ski lift’s working hours are from 9 AM to 5 PM. On Fridays and Saturdays you can enjoy in night skiing under floodlights from 6 PM to 10 PM. 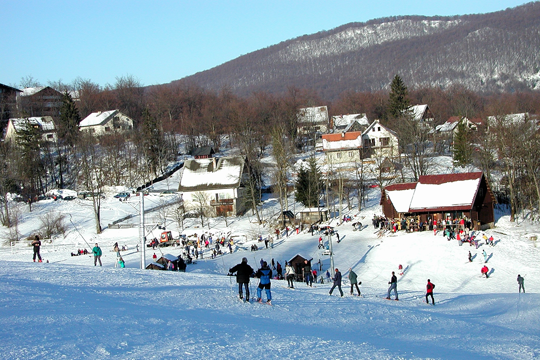 Skiing has been part of winter tourism activities offered by the Plitvice Lakes National Park since the 1980s. The ski resort is located next to the DC429 state road, in the village Mukinje. It is approximately 2.5 km away from Entrance 2 and the Plitvice Lakes National Park hotel complex, and some 5 km away from Entrance 1 and the famous restaurant “Lička kuća”, in the direction of the Adriatic coast. 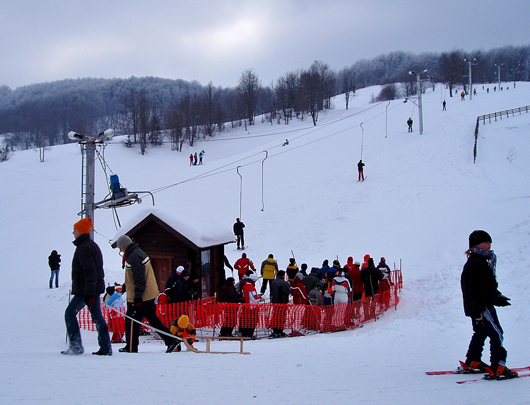 The ski resort has one ski lift with the capacity of 400 skiers per hour which pulls them to the glade at approximately 700 m a.s.l., from where the skiers can descend via several ski trails back to the foot, which is at about 640 m a.s.l. The ski trails are around 400 m long. Apart from skiing and snowboarding, it is also possible to ride a sleigh down a slope to which the sleigh riders climb on their own. Mukinje ski resort is available to users as soon as we have the natural conditions necessary to pd Saturdays we also organize night skiing under floodlights from 6 PM to 10 PM. The equipment can be rented. For more information about renting, prices and working hours before your arrival call our info phone +385 (0)53 751 281. 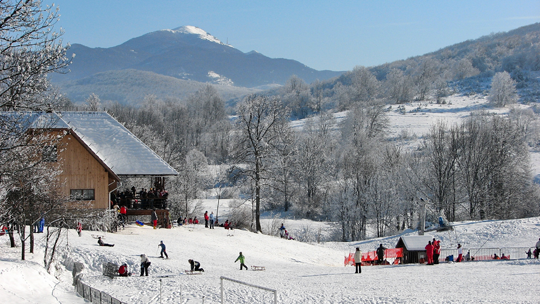 The ski resort offers rentals of skiing and snowboarding equipment, as well as sleighs, snow saucers and toboggan sleds for sliding down the slope. All equipment can be reserved in advance. Due to the gentle slope gradient (average slope gradient is 15%), the resort is suitable for beginners, recreational skiers and children. How to get there and more informations about the Resort you can also read at Mukinje Ski Resort.